For years, I’ve warned you about the Muslims who perpetrate disturbances on U.S. flights. We’re always told they were “just drunk” or are “mentally disturbed” and that jihad and Islam have nothing to do with it. I’ve never believed that bunk and have always warned you these guys are perpetrating dry runs and testing the system. (And I’ve mentioned that the Al-Qaeda handbook tells them to act like they are mentally disturbed.) Now, we have proof that they are faking it. One of these “just drunk/mentally ill” Muslims joined ISIS and murdered police. And Barack Obama let him into America illegally. In February 2012, Yazeed Mohammad Abdulrahman Abu Nayyan became unruly on a Continental Airlines flight from Portland to Houston after flight attendants asked him to turn off his e-cigarette on the no-smoking flight. He was disruptive, rushed the flight attendant, and began screaming, “allahu akbar!” He also sang in support lf Osama Bin Laden. As I noted on this site, it turned out that Abu Nayyan was an illegal alien who had no business being here. Barack Obama’s Homeland Security let the Saudi foreign national in and let him overstay because of the policy of not arresting or detaining illegal aliens without criminal records. The thing is, before boarding the flight, Abu Nayyan had already been arrested for leading police on a drunk driving chase in a car in Portland and then ramming their cars. But he got out on bond and was allowed to fly cross-country. Ultimately, Abu Nayyan was deported with a slap on the hand. 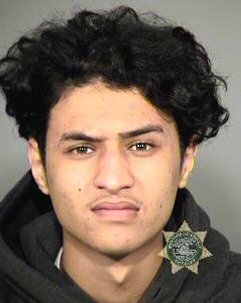 After court documents indicated Abu Nayyan was on medication for “mental health issues,” an Oregon granola-type judge sentenced him to two months time already served and Abu Nayyan was not even ordered under court supervision because they expected him to return to Saudi Arabia, where we are lucky that he ultimately ended up, instead of just hanging around America. Since then, he joined ISIS in Saudi Arabia, and last week, the Saudis disclosed that Abu Nayyan orchestrated the ISIS assassination of two Saudi police officers in a drive-by shooting earlier this month. Abu Nayyan was banned by the Saudis from traveling. But ISIS came to him. He met with ISIS reps from Syria, and two days later masterminded the drive-by shooting from his farm outside Riyadh. Saudi Arabia said Friday that Islamic State masterminded an attack earlier this month that killed two police officers in Riyadh, and that one of those arrested had been subjected to a travel ban after spending time in a U.S. jail. The Ministry of the Interior said in a statement that authorities arrested Yazeed Mohammed Abdulrahman Abu Nayyan, a 23-year-old Saudi national, in connection with the drive-by shooting that killed two officers on April 8 in an eastern district of the capital. Nawaf bin Sarif Samir al-Enazy, another Saudi national, who is still at large, was identified as his accomplice. Three years ago, Mr. Abu Nayyan pleaded guilty to one count of interfering with the crew of a United Airlines flight from Portland, Ore., to Houston. He was arrested after he forced the flight to return to Portland by refusing to stop smoking an electronic cigarette, hitting other passengers and yelling about Osama bin Laden, according to an indictment filed at the time. After being held for two months after the incident, a judge sentenced Mr. Abu Nayyan to time served. According to court documents, he was under medication for “mental health issues” determined during a psychological evaluation. U.S. prosecutors said they didn’t seek supervision after his release because of his expected “prompt return” to Saudi Arabia, court documents said. “He was likeable, courteous, kind and respectful to me and all the other professionals on our team,” said Mr. Abu Nayyan’s former lawyer, Mark Cogan, who represented him in the federal case involving the United Airlines flight. Mr. Cogan said he had no further comment. On Friday, the Saudi ministry said Mr. Abu Nayyan had confessed to carrying out the police shootings on behalf of the Sunni militant group, Islamic State. The attack came after meeting with one of its representatives in Riyadh on April 6, and then plotting with other members who are currently in Syria. It marked the latest in a string of attacks believed to be staged by the militant Islamist group in the past six months. The Saudi government called on Mr. al-Enazy, who it said is wanted in connection to other criminal cases, to turn himself in and has announced a bounty of 1 million riyals (about $267,000) for information that could help authorities locate him. The ministry also said the pair had attempted, but failed, to assassinate security officials outside Riyadh before targeting the officers. It added that authorities found weapons, cars, explosive materials and communication devices believed to belong to the suspects. The ministry said they had been planning further attacks. Yup, he sure sounds “likeable, courteous, kind and respectful” to me, just like his American lawyer said. “No signs of extremism,” either, just like the Saudis said. Right? Mentally ill and crazy? Nope. Just “crazy” like a fox, as I told you back in 2012. And as I also told you, these Muslims on planes feigning mental illness or claiming they were “drunk” aren’t any of those things. They are cold, calculating Muslim terrorists planning attacks against us on our own soil. We’re lucky those drive-by shootings weren’t on American soil. But they could have been. (On the other hand, ISIS doesn’t really need interlocutors, when they have Baltimore and Fergustan rioters to do their bidding.) Who knows what Abu Nayyan was planning to do on U.S. planes. Do you think he led police on a “drunk driving” chase and rammed them “just ‘cuz”? Come on. He knew exactly what he was doing. And he probably reported back to the brethren–the Ikhwan–both here and there. Plenty more of his kind where he came from and on our shores ready to be amnestied and already enjoying de facto amnesty now. It’s not a matter of if they will perpetrate something like what Abu Nayyan did in Riyadh. It’s when. Absolutely! & after all these years you’re still the only one telling it like it is. It’s pathetic that the Proles of this country can’t see the Mooooooslims as winning handily since 9/11. Just look @ the shuck & jive that Boston (#BOSTONSTRONG…LOL what a heaping load of bullsh that misnomer is…I’ve hated it since the second I heard the stupid, gay & untrue phrase…) is doing with Dzhokhar Tsarnaev…the Boston Marathon Jihadi Bomber. Yeah, he may still get the Death Penalty (I don’t think he will but I hope he does…even though he won’t die for 99 years…) but this MoonBat state does NOT have the stomach for the DP…even RE: Jihad. Even if he doesn’t get the DP the misnomer tact of his defense is that he was a dupe of Super-Jihadi brother Tamerlane…otherwise known as “Speedbump”…and it’s working. Dhimmis, dopes & dingbats are eating it up like free M&Ms! It’s beyond disgusting. I do have sympathy for the families affected BUT I don’t give them any quarter w/their nonsense that they want him to go away. Grow up & smell the jihad…he’ll never go away and only thinking of yourself is only gonna help Islam & Jihad…at the expense of the rest of us. Its funny how these airplane terrorists are described as being ‘american as appple pie’ by their apologists. Can’t wait for the CIA report on the Saudi hijackers (coverup) to be made public. This idiocy of allowing the USA to be vulnerable will never end until there is a change in “leadership” from the very top, cabinet, military, etc. The sheeple don’t care and continue to do nothing about it. What a surprise, another screw up by Obama’s Homeland Security and ICE. But I don’t believe that it was a “screw up”. This is all an orchestrated plan by the Devil’s spawn in the White House. And he wasn’t detected at a border patrol Checkpoint? why not? 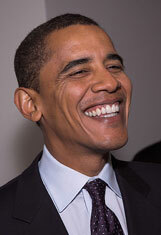 We tolerate these ticking time bombs because of Barack Obama’s desire for more Hispanic voters.